November 2012 - It's show time again! It only seems like 5 minutes since last year's show, but once again it's getting close to that time of the year when everyone is preparing for the new season. As usual, Geartronics will have a presence at the NEC, and we will be exhibiting on stand E391 in the engineering section. Neil Wallace, Peter Haywood and Nathan Sanders (of Race Data Systems) will be on hand to answer your questions. The show starts on Thursday 10th January and finishes Sunday 13th January, but we are only there on Thu/Fri for the "trade only" days. Come and see us in hall 9 on stand E391 to see our latest products, including an interactive demonstration of our new CANbus based GCU hooked up to a MoTeC ECU & CDL dash/logger. Next generation GCU is almost here! OK, so we've been promising this for nearly two years, but GCU3 is finally approaching completion. As this news page was written, the billet enclosures have been machined and the PCB's are being manufactured. Based on a DSP (digital signal processing) microcontroller with dual 1M-bit CANbus interfaces, the new unit features 6x faster processing speed than the original GCU. The same renowned Geartronics shift strategies are employed, but now we are able to communicate with the latest generation of engine ECU's using the industry standard CANbus network. This opens the door for us to devise additional strategies based on parameters such as vehicle speed, wheel slip etc. In addition, any parameters that the GCU receives or measures (up to 80 channels) can also be transmitted on the CAN bus at a rate of up to 1000Hz. 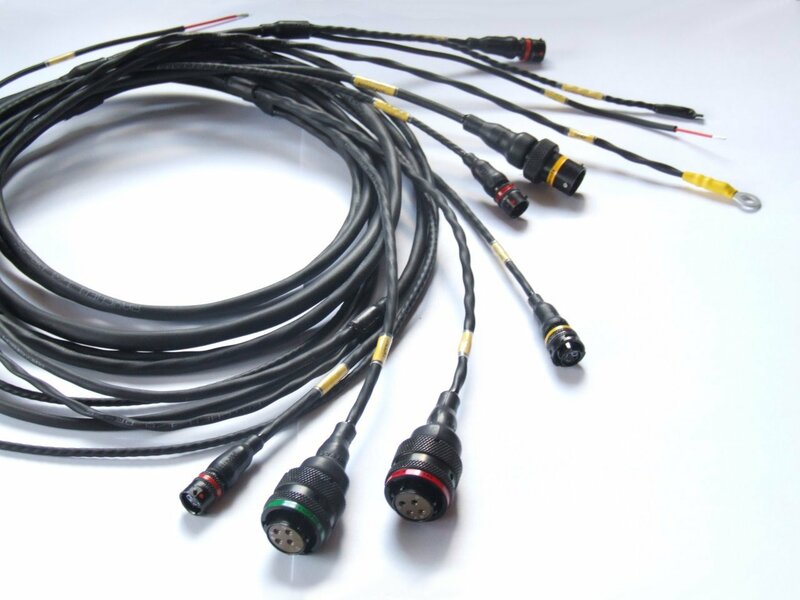 Both standard 11bit and extended 29bit addressing is supported, which means that we can communicate at high speed with just about any ECU, steering wheel, data acquisition system, on-board camera systems etc. We have written our CAN software with flexibility in mind, and as a result we have devised a user-friendly configuration interface that is as simple as possible to use. This will allow communication with any CANbus based device - including MoTeC ECU's that use the often misunderstood 'compound addressing' technology. As a further addition, the new GCU will have up to 8mb of on-board data logging memory. Come and see the new GCU in action on stand E391 at the forthcoming Autosports Show. We've recently been supplying an ever increasing number of our paddleshift systems for the Caterham 7, so we thought it was about time we produced a bolt-on kit for these cars. Working with Caterham experts, Westermann Motorsport (MOG Racing), we've designed a fitting kit for the Sadev SCL82-17 gearbox that will make installation a simple job. 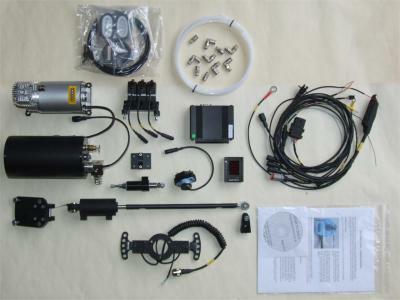 The kit contains everything you need, including brackets, wiring loom and air hoses. The system will work with any engine/ECU combination, including the original 'factory locked' MBE ECU. The price of the system as you see in the photo above is just 3884.00 GBP. 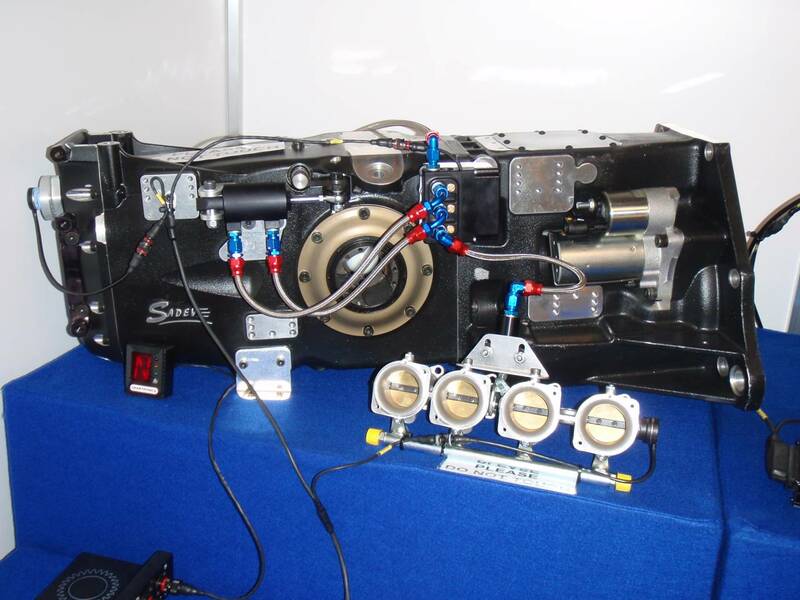 We can also supply installation kits for the Quaife 60G and 69G gearboxes as shown in the photos below. September 2012 - More WINNERS choose Geartronics! Britcar 24-hour outright win for Geartronics equipped car. 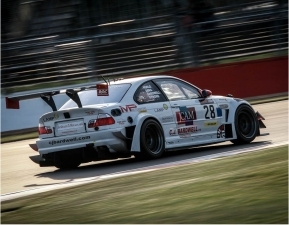 Congratulations to Richard Abra, Mark Pool, Clint Bardwell & Michael Symons on winning the 2012 Britcar 24-hour race in their BMW E46 GTR. "Just a quick email to say how pleased I am with the paddleshift system!! Just stripped the gearbox from the GTR and the dogs are perfect.......no marks on them whatsoever!!" That's after completing (and winning) a 24-hour race, practice, qualitying, warmup and several private tests, amounting to more than 40 hours running! 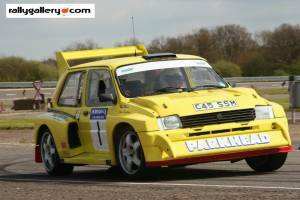 Mark Jasper gave his Metro 6R4 its maiden win on the recent Woodbridge Stages after its complete rebuild by Ian Chamberlain Motorsport. 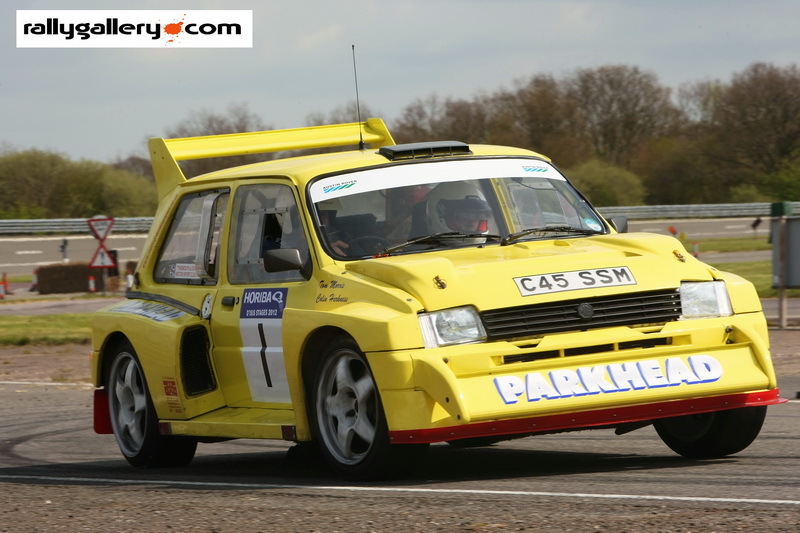 In common with several other recently updated 6R4's, Mark's car has been fitted with a complete Maktrak 4WD transmission operated by the Geartronics paddleshift system. Rob Fenn won the latest Lotus Cup race at Zolder after a superb qualifying lap saw him put the distinctive black & green machine on pole. 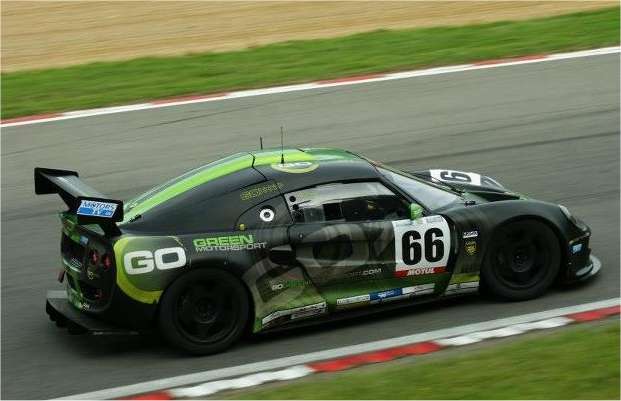 The car is fitted with a Hewland 'EGT' touring car gearbox, and is operated by our pneumatic paddleshift system. Congratulations to Rob and also to John Danby Racing for preparing the car to such a high standard. The latest version of our paddleshift GCU has further refinements to the downshift strategy, allowing a shorter 'cycle time'. In other words, the system is re-armed more quickly after a downshift, allowing the driver to make even more rapid downshift sequences. Another addition is a change to the blip & actuator timing relationship parameter, now allowing a greater offset between the two. This is especially useful for turbocharged and supercharged applications where engine response is poor. Version 46 code can be applied to all previous hardware versions, but due to memory constraints it's no longer possible to use the integrated gear indicator with first generation GCU's. 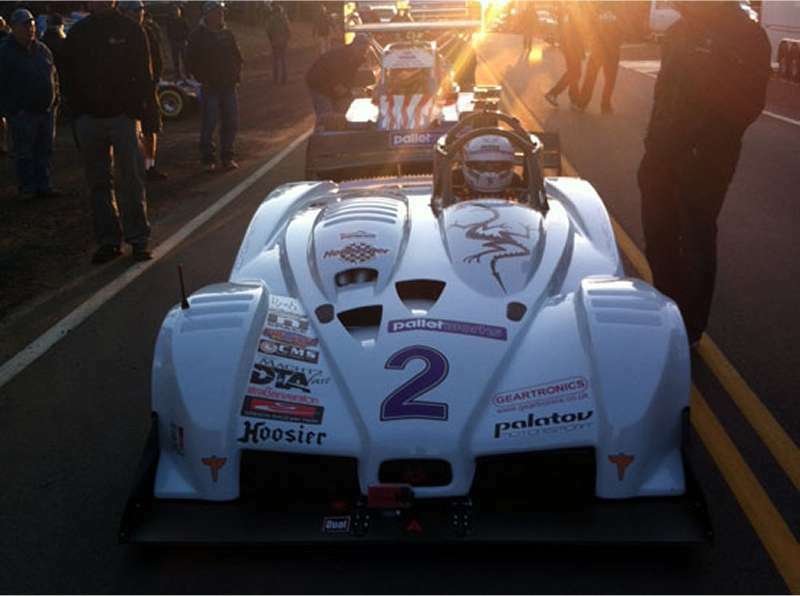 Palatov D4 wins class at the 2012 Pikes Peak. 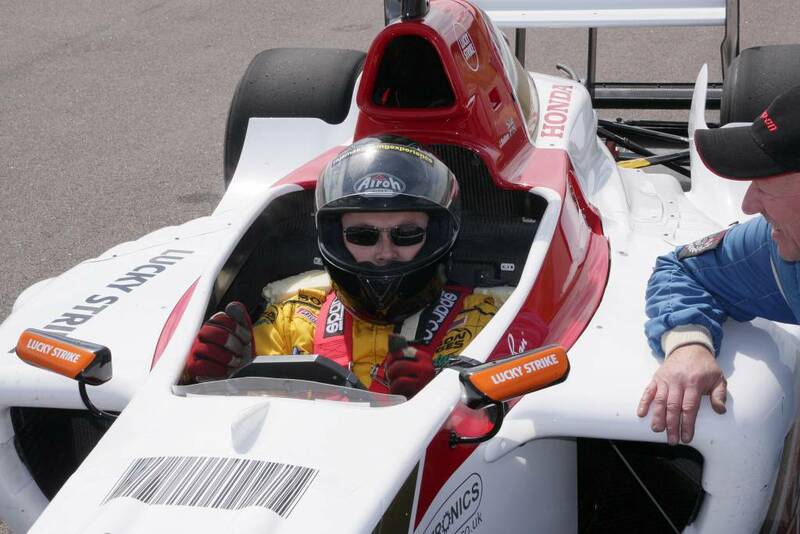 At the first attempt, the Palatov D4 PPS scores a sensational class win at the 2012 Pikes Peak Hillclimb. Previous outright winner David Donner was at the wheel, and he posted a time of 10:04.652 which was enough to secure the unlimited class and 3rd placed car up the infamous hill. His time was just 18 seconds shy of the new hill record and represents a remarkable achievement for such a radical car on its first outing. This remarkable little car features a Hartley Hayabusa based V8 engine and a unique 4WD system based around a Hewland JFR transaxle. The transmission is of course operated by our pneumatic paddleshift system, and we are very happy to have been part of the project. Follow this link to see an on-board video of the full run. Chris Eaton's NEMO EVO wins 2012 World Time Attack. 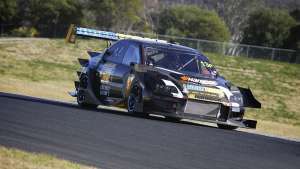 The awesome Mitsubishi EVO-9 has set a time of 1:25.02 around Eastern Creek to smash the previous record and take the World Time Attack challenge. 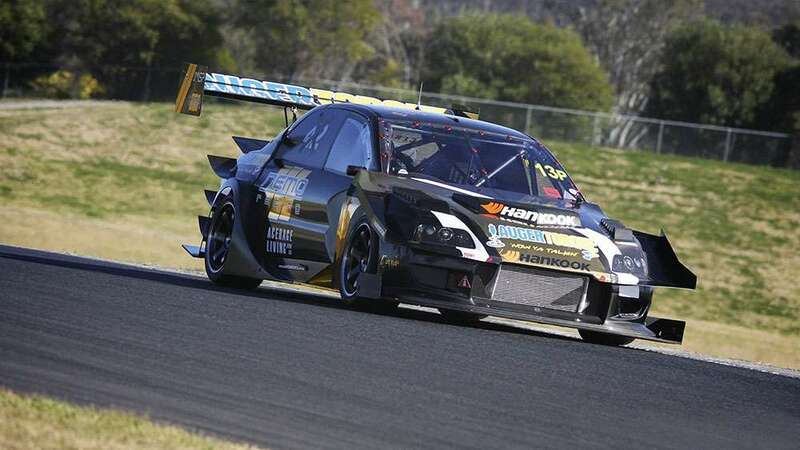 Driven by Australian V8 Supercar driver Warren Luff, this monster of a car has around 900whp and weighs less than 1000kg. 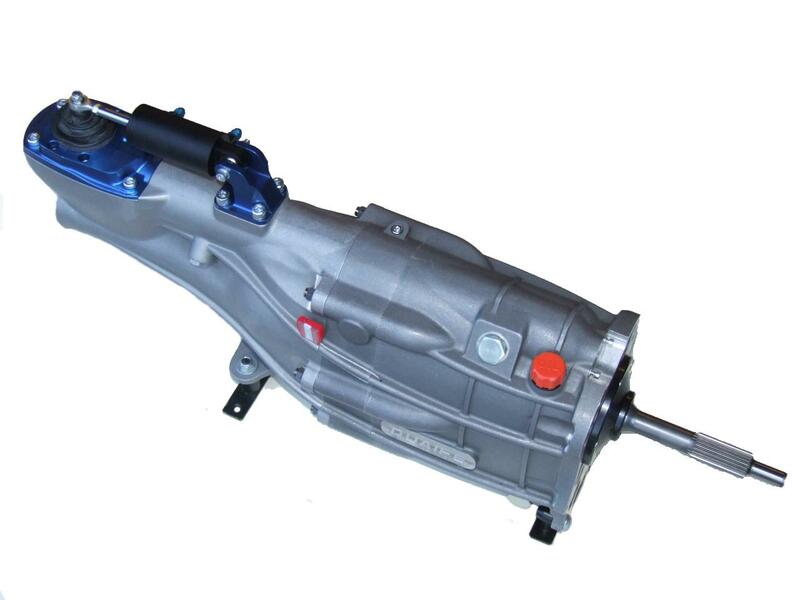 The Maktrak 4WD transmission is shifted by Geartronics paddleshift. Hayabusa turbo car hits the dyno. 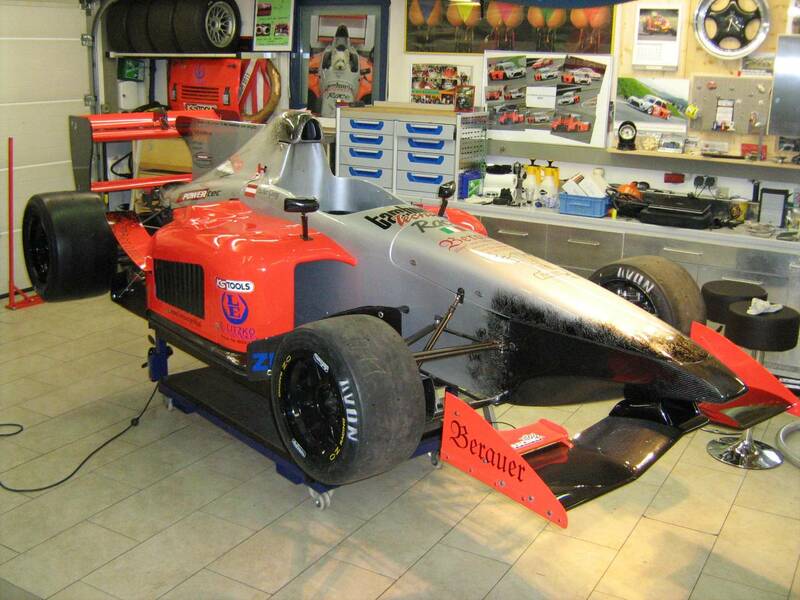 This month we did some dyno work on another hillclimb car, this time the single seater of Austria's Georg Pacher. The car started life as a Formula BMW, but it's now fitted with a turbocharged Suzuki Hayabusa engine producing more than 300bhp. 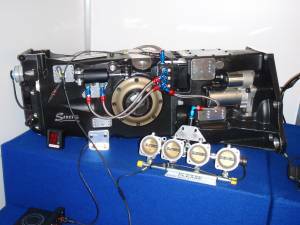 The standard Suzuki gearbox is operated by our paddleshift system, and the aim of the session was to improve the throttle blip response to give smoother downshifts. Downshiftting is always a problem with turbocharged engines because of the poor off-boost response. However, the Geartronics shift strategy has a few tricks up its sleeve to get the engine to increase RPM at an acceptable rate. After the session, it became clear why exhaust energy is such a big deal in F1 - click on the picture to view the video and you'll see what we mean! 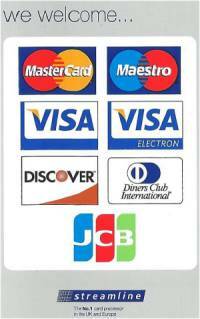 We are pleased to announce that as of 25th June we are now able to accept credit card payments. We are still happy to accept bank wire and cheque payments, but we appreciate that for many customers, credit or debit card is the most convenient method of payment. Debit cards - no surcharge. Geartronics paddleshift makes a clean sweep at the F1000 opener. 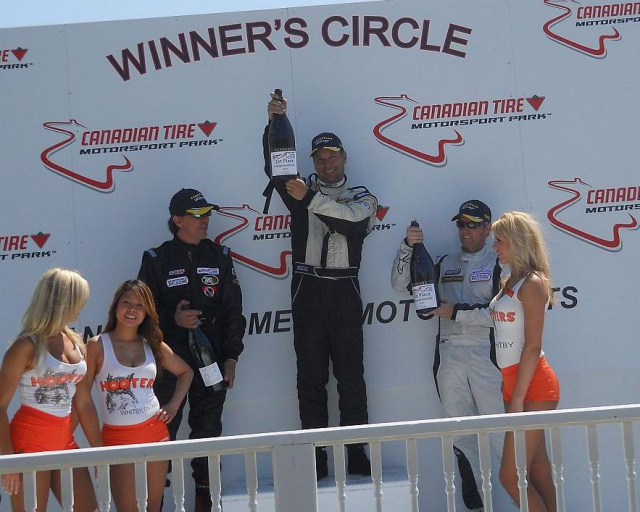 The 2012 North American F1000 series kicked of at Mosport Raceway in Bowmanville Ontario Canada with Geartronics customers dominating both races. Brandon Dixon, driving a Citation, showed his class in the first race by qualifying on pole, then setting fastest lap on his way to taking the chequered flag. Glenn Cooper (Firman) and JR Osbourne (Stohr) took the remaining two podium places, making it a 1-2-3 for Geartronics equipped cars. Dixon then repeated the victory for the second race, closely followed once again by Glenn Cooper. Third place was taken by Jeremy Hill in a Photon. Geartronics owner samples his own product in an F1 car. 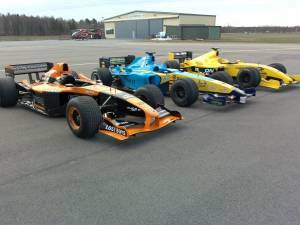 Last weekend, I attended a test day to setup a pair of Rajamaki Racing 2004 BAR F1 cars. It turned out to be an ideal opportunity for me to experience first-hand the system I designed. 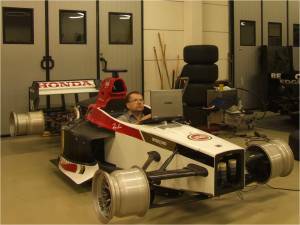 Rajamaki Racing operate an 'F1 experience' company where, for a reasonable fee, ordinary members of the public get to drive an F1 car. Despite having an 11-year rallying career and working with racing cars for most of my working life, the performance of these machines is something that I can't even begin to describe. The word 'awesome' is very much over-used, but in this case it really does apply. Anyone who's been fortunate enough to get the chance to drive an F1 car can only have the utmost respect for professional F1 drivers, whatever their grid position! Thanks to Johan Rajamaki for giving me the opportunity to drive one of his cars. By the way, the paddleshift is brilliant - you should try it! This month we're pleased to report that we have 3 more systems fitted to F1 cars. First, we made a trip to Rajamaki Racing in Sweden to commission a pair of 2004 BAR/Honda's, one of which was an ex Jensen Button machine. Johan Rajamaki has now fitted our system to no less than 7 of his F1 cars, including a Jordan, Arrows, Renault, and even an F1x2 two-seater! While we were there, we used the opportunity to upgrade the firmware on his older systems and get the data logs out of the GCU's. Remarkably, the Arrows car had been running for more than two years without the gearbox having being touched, and it had completed more than 30,000 gear shifts! Updated Metro 6R4 wins first time out. After years of development stagnation, the iconic 6R4 gpB supercar has been brought up to date with a Maktrak sequential gearbox and Geartronics paddleshift. "Having sat in a car with this set up and won an event on its first outing, all I can say is awesome! The car never missed a beat all day and with the driver being able to grab gears without having to let go of the wheel has transformed things and brought us closer to the Darrians. It's also easier on the engine and transmission. It gets a big thumbs up from us." 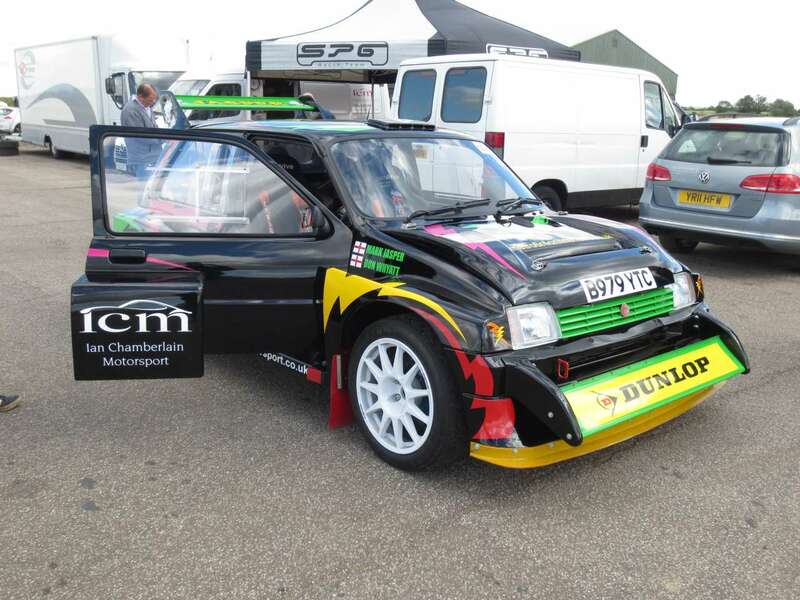 Also competing in the same event was Simon Chapman's 6R4, also fitted with our paddleshift system. Despite us hastily finishing the setup late on Friday evening without any track testing, Simon went on to finish a creditable 5th overall. 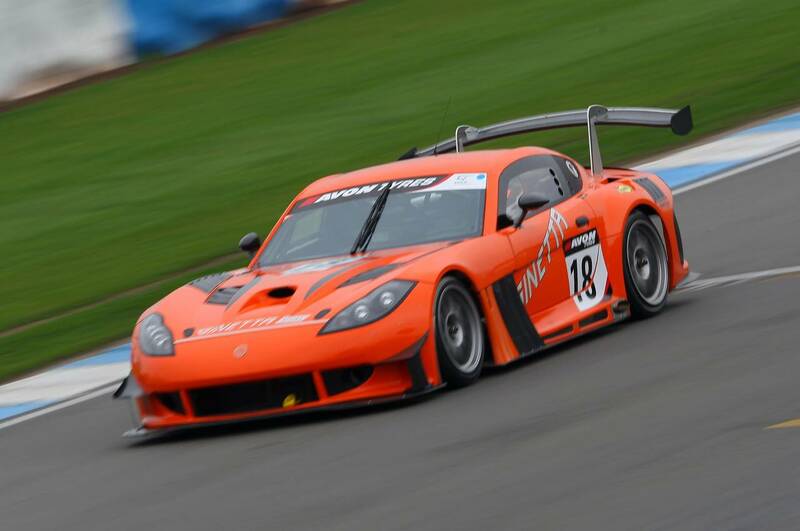 Britcar win for Ginetta GT3. 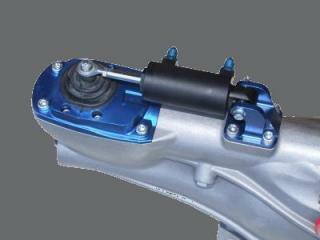 New for 2012 are a pair of specially developed high performance valve assemblies. These blocks have been specifically designed for use in our high-end professional system. The internal valves have been manufactured to our exclusive design to significantly increase airflow, leading to improved shift performance. The manifolds are machined from solid billet aircraft spec aluminium alloy, with great attention paid to acheiving the lightest possible weight and highest performance. The valves themselves are of metal construction using high temperature Viton seals and Raychem 'spec55' wire, allowing reliable operation in excess of 200 degC (392F). 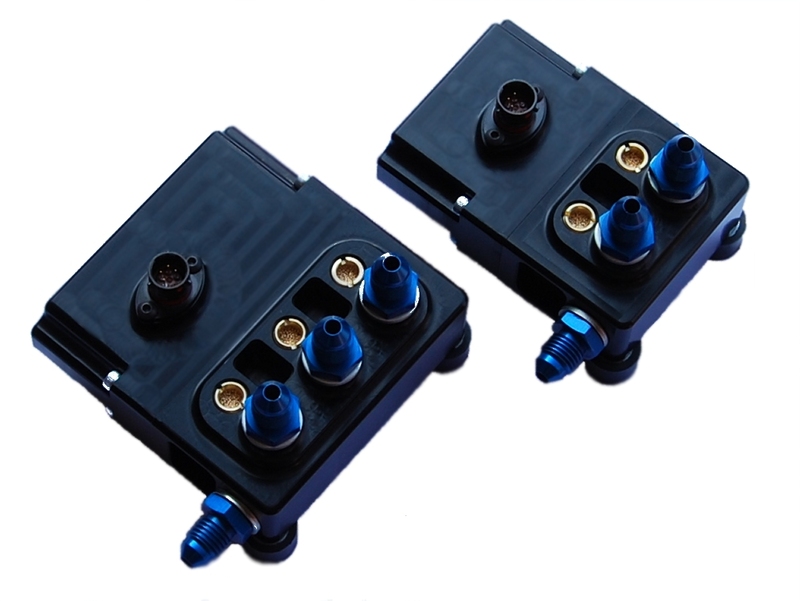 Two types are available: a 3-way block for conventional up, down & blip functions, as well as a 2-way block for use with electronic (DBW) throttles. Electrical connection is via a Deutsch Autosport connector, further enhancing reliability. The new valves are scheduled to start shipping at the end of April. For more than two years we have maintained the price of our paddleshift system, but unfortunately we now have no option but to increase prices in line with the cost of raw materials. As of April 2012, the basic price of the paddleshift system will increase to 3020.00 GBP, (or 3400.00 including a bespoke Raychem wiring harness). However, please bear in mind that our system includes a choice of paddles and throttle blipper, and we do not charge more than 1000 GBP extra for these items as is the case with one of our rivals! One a day for Geartronics! The month of March is traditionally a very busy period for the motorsport industry, and it's been especially busy for Geartronics. During March, we've shipped no fewer than thirty complete paddleshift systems, and so far it's looking like April will be equally busy. This year seems to be busier than ever, with no signs of any down-turn in the motorsport economy, certainly not for Geartronics at least. 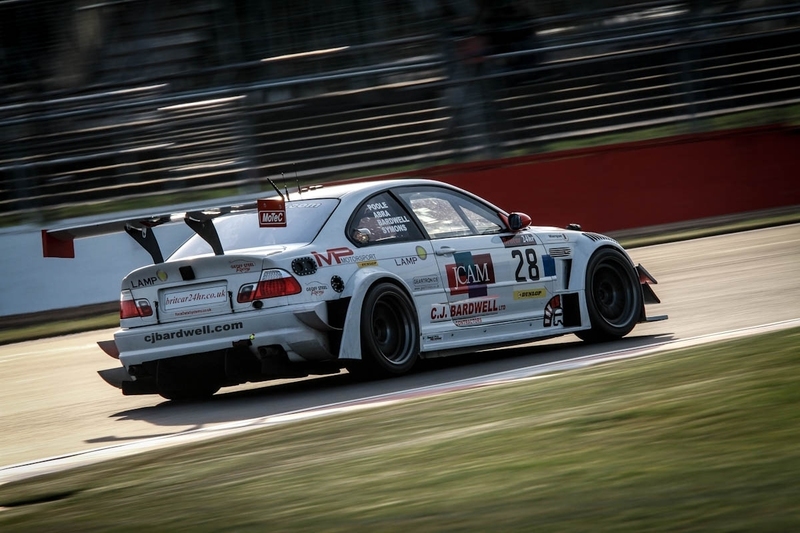 Several new cars have already been commissioned by us this year, including the BMW V8 GTR of Richard Abra/Mark Poole. 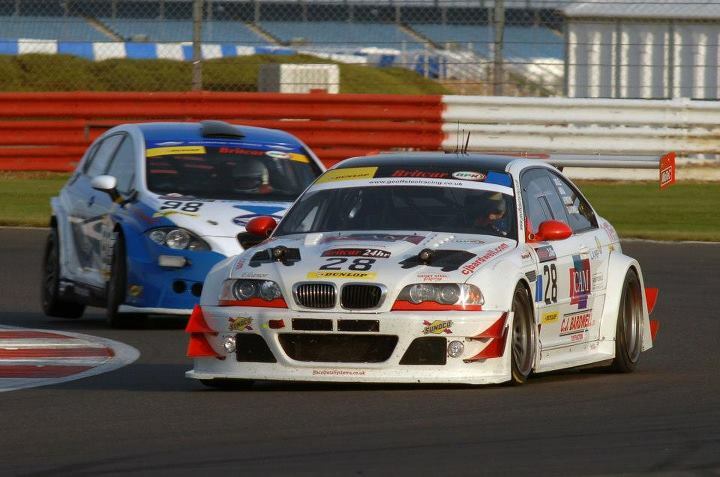 This car is using the E92 V8 engine mated to the excellent Tractive RD90 gearbox. 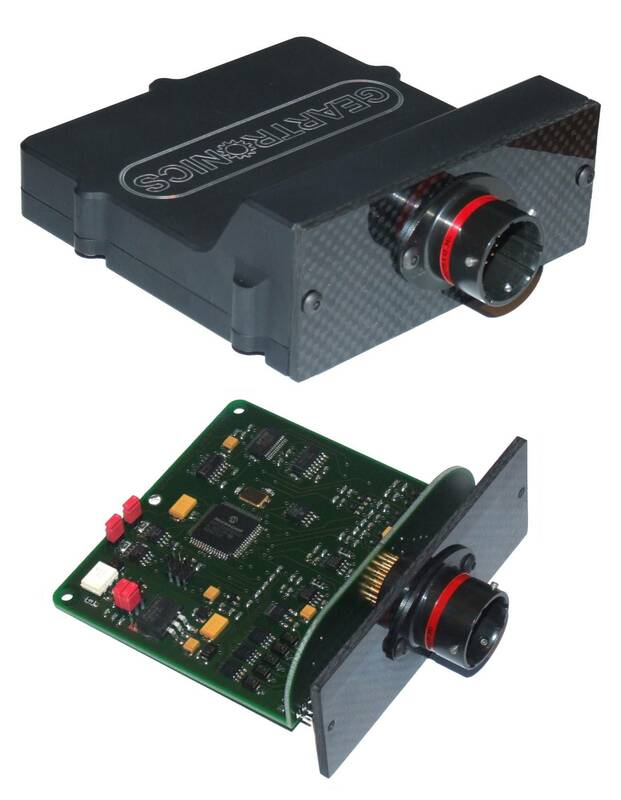 As well as the Geartronics paddleshift controller, the electronics package also includes a MoTeC M800 ECU, DBW4 controller, SDL dashboard and PDM30 power distribution unit. 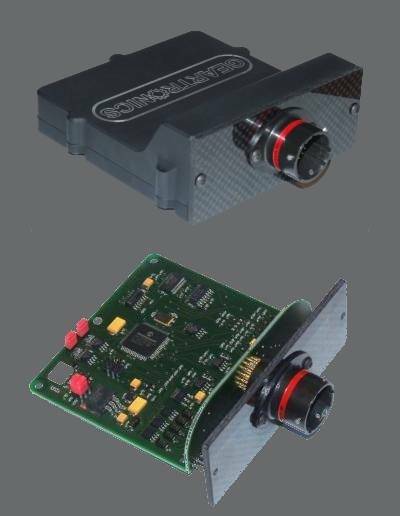 Having such a powerful and versatile electronic installation at our disposal makes our job easier, as it allows us to very accurately control the drive-by-wire throttle blip, and also gives us access to high-resolution data acquisition, which is an essential requirement if the paddleshift system is to be calibrated to perfection. Another interesting car that we commissioned a couple of weeks ago is the latest creation from Austrian hillclimb expert Georg Pacher. Based on a Formula-BMW carbon tub, the car has been fitted with a turbocharged Suzuki Hayabusa engine and a unique drivetrain assembly, allowing the engine to be fitted longitudinally in the chassis. Georg is well-known for his unique vehicles, and this one even has a pneumatically controlled F1-style drag reduction rear wing! Such is Georg's confidence in the Geartronics paddleshift system, this is the fifth of his cars that we have equipped. Version 45 software has now been released. 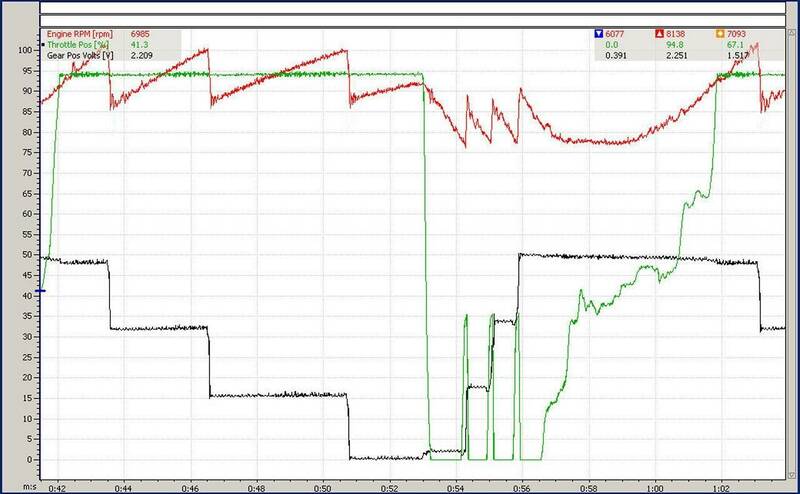 Adding to our existing highly sophisticated control strategy, this update gives an improved downshift auto-blip response, and is aimed specifically at vehicles using electronic (Drive-by-wire) throttles, or other slow throttle response applications such as turbocharged installations. Due to the delayed reaction and relatively slow throttle opening of DBW motors, the GCU requires a proper control strategy to counter these negative charachteristics. 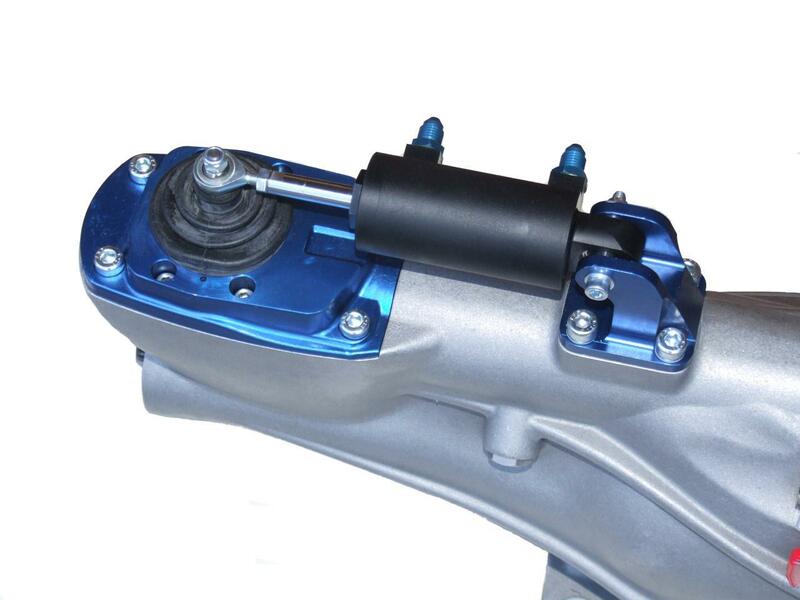 Unlike many other systems on the market, our strategy does not simply command the throttle blip ahead of the shift, as we found that this often resulted in aggressive downshifts and associated chassis instability. 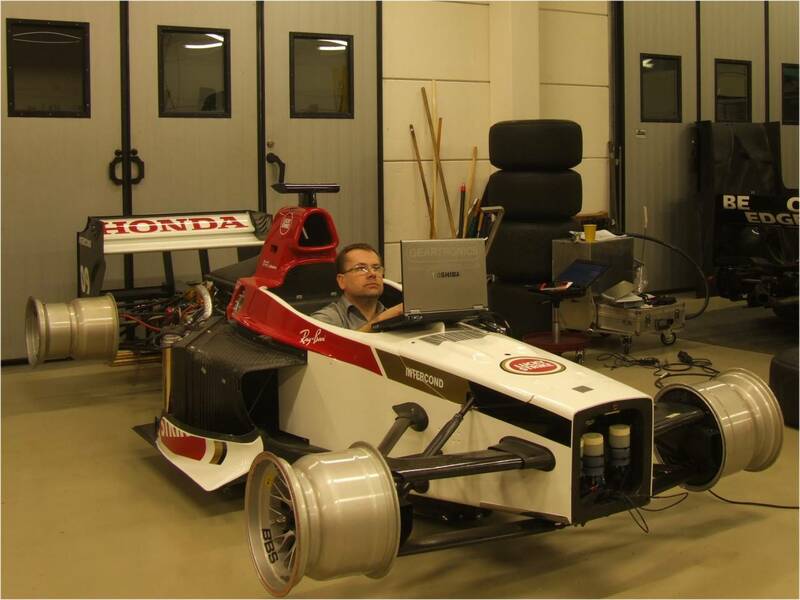 The new strategy has been developed from exhaustive track testing, data analysis and professional driver feedback. All new systems will be shipped with the latest software, and existing users can request an update free of charge. First of all, a very big thank you to all the people who took the time to visit our stand. As usual, we were aware that many people didn't get to speak to us because of the huge numbers of visitors that we had to deal with, so apologies to them. For the 2012 exhibition, we once again had two working paddleshift systems on display. The first one was a demonstration our 'professional' system fitted to a Sadev SL75 sportscar transaxle. This featured our CAN-enabled GCU, with full 'Autosport' specification wiring harness and Goodridge braided hoses. 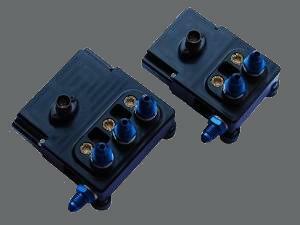 New for this year is an updated valve block offering greater airflow and improved shift speed. Click on the photo above to see a full-sized image. A system like this is targeted towards the professional market, but is equally at home in a club level application should your budget permit. 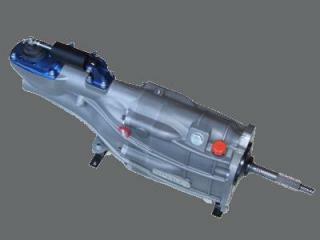 The second system was fitted to a Maktrak Mitsubishi Evo transmission. This demonstrated a more affordable system using push-fit hoses and a more basic specification wiring harness. However, the 'clubman' system still features the same renowned Geartronics shift strategies as the professional system, giving you the ultimate performance and peace of mind.